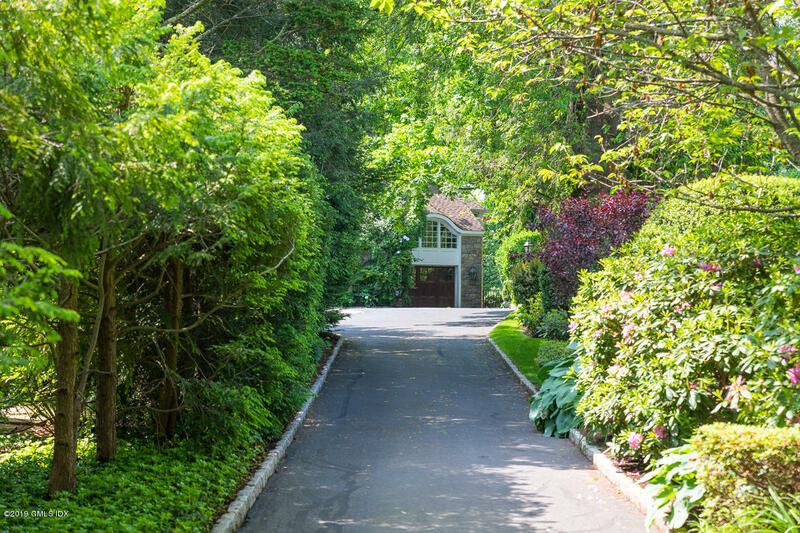 I am interested in 123 Shore Road, Old Greenwich, CT 06870. 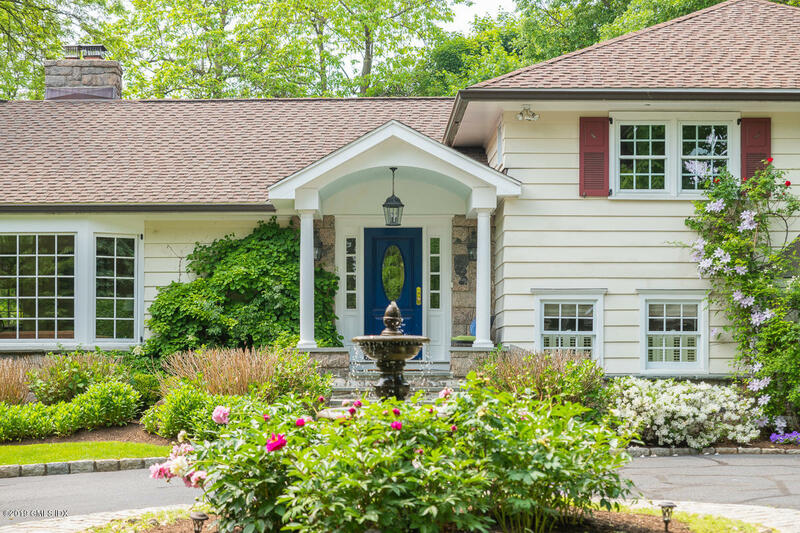 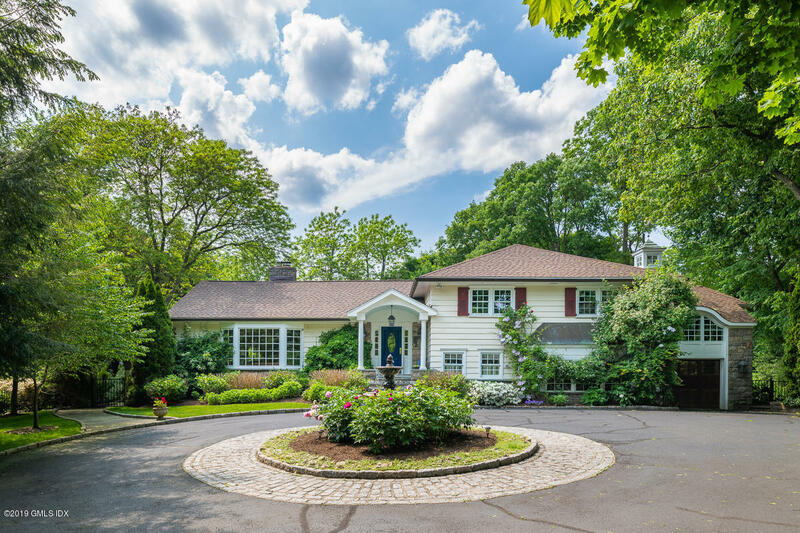 At the end of a private drive, this 5 bedroom, 3.5 bath home is nestled on a beautifully landscaped .78 acre property, south of the Village in Old Greenwich. 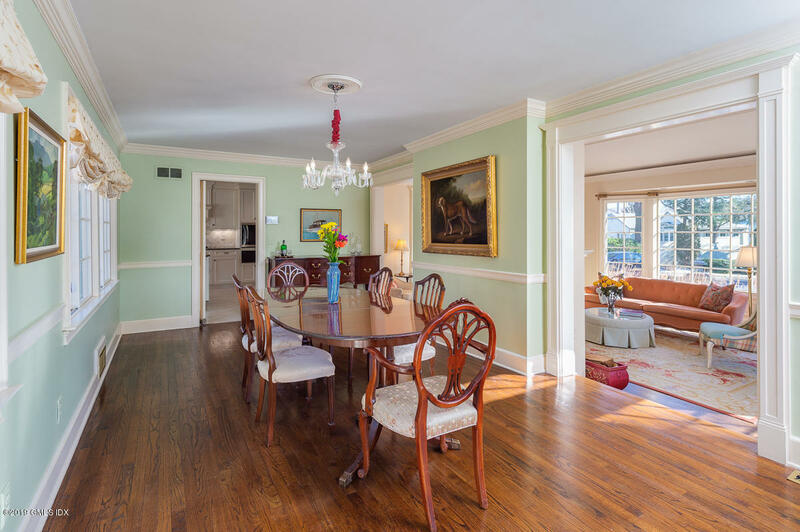 The large living room with fireplace, & adjacent dining room is made for entertaining. 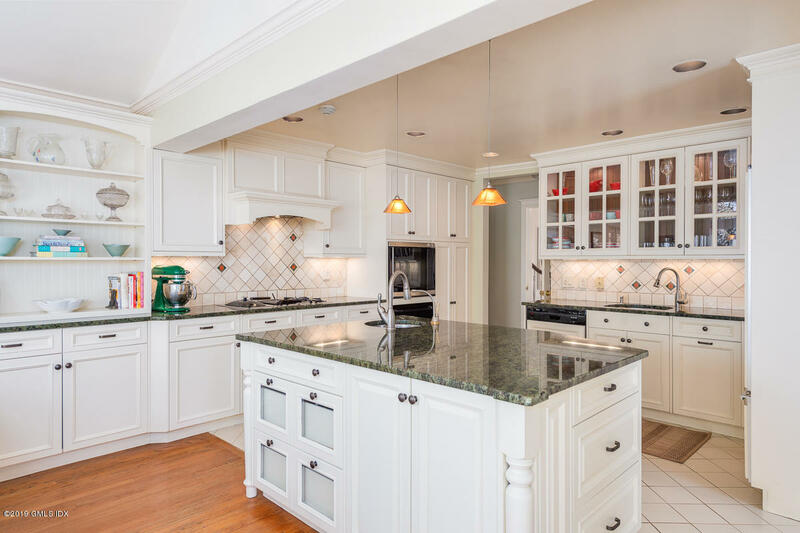 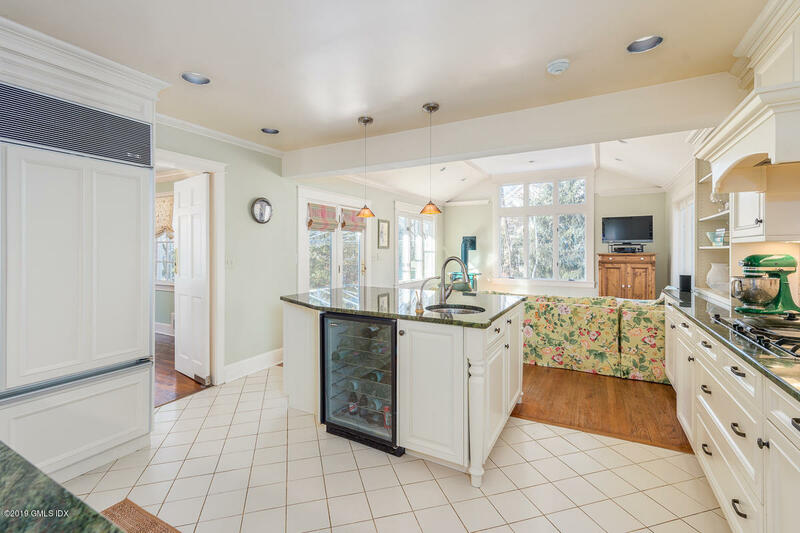 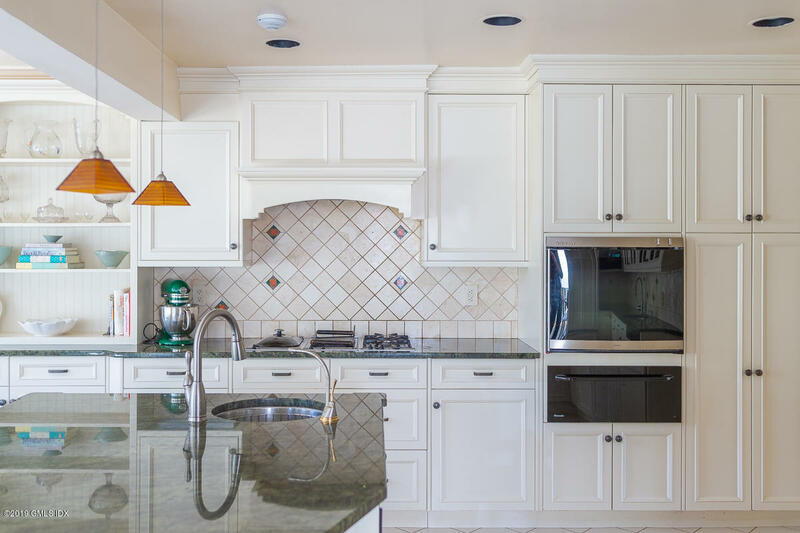 The kitchen opens to a large family room w/access to the outdoor terraces. 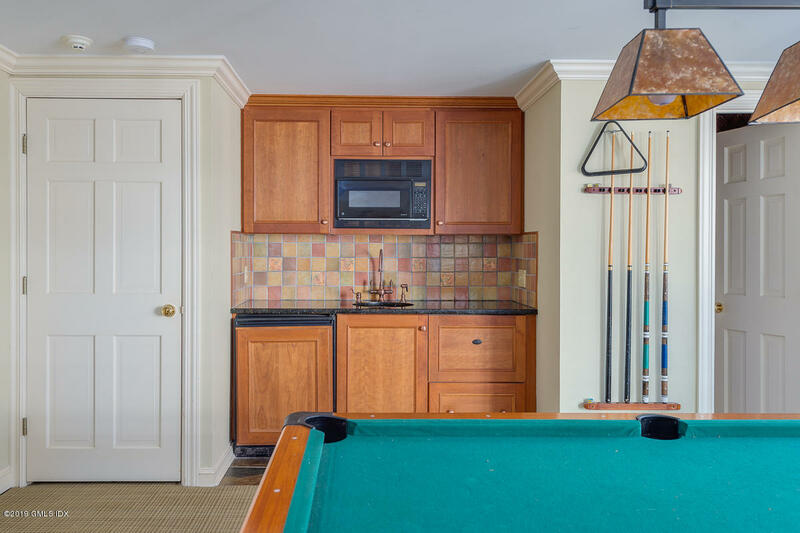 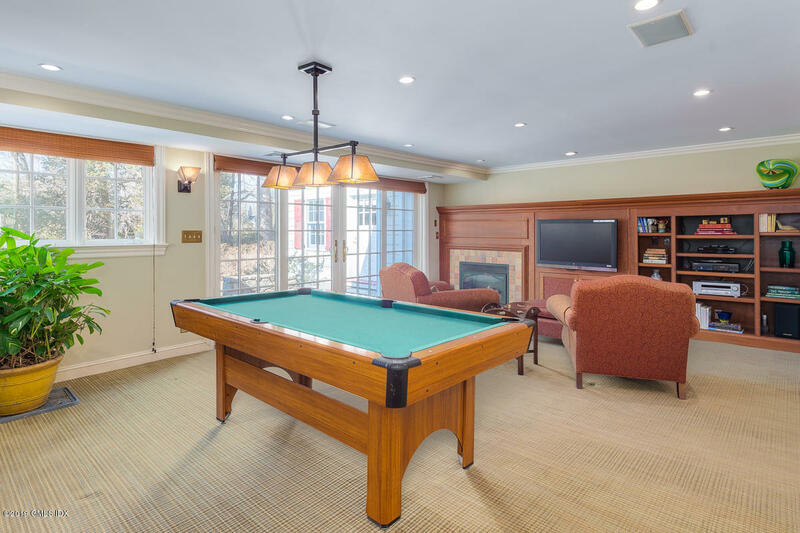 A 2nd family/play room has custom built-ins with a gas fireplace, wet bar, 1/2 bath & French doors to the yard. 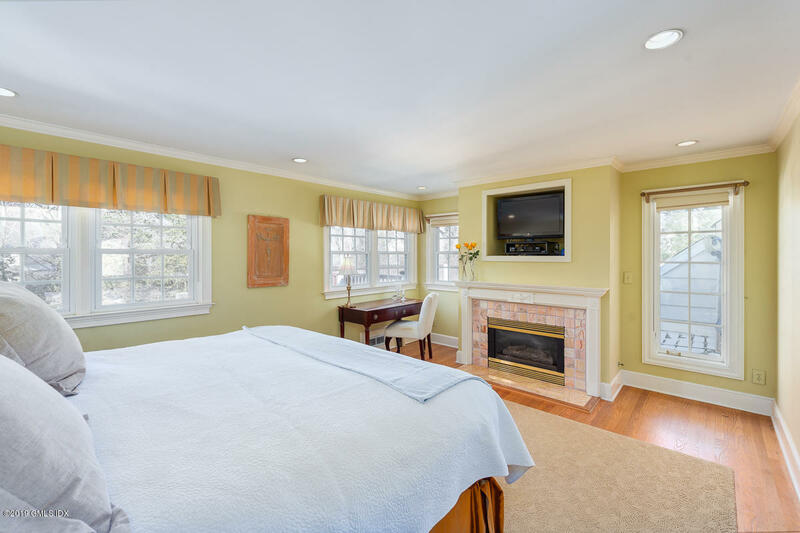 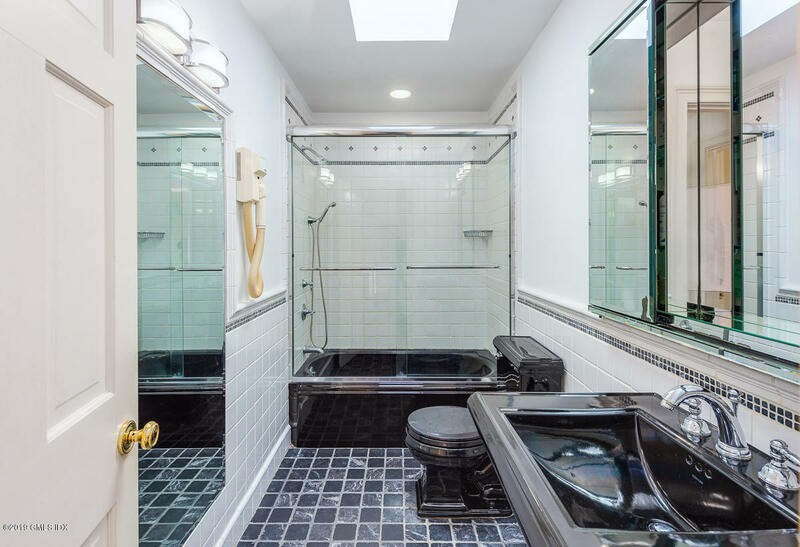 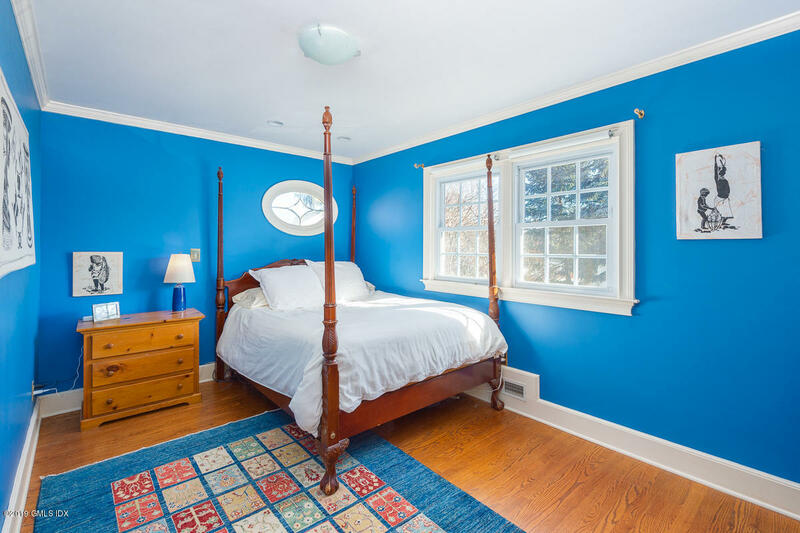 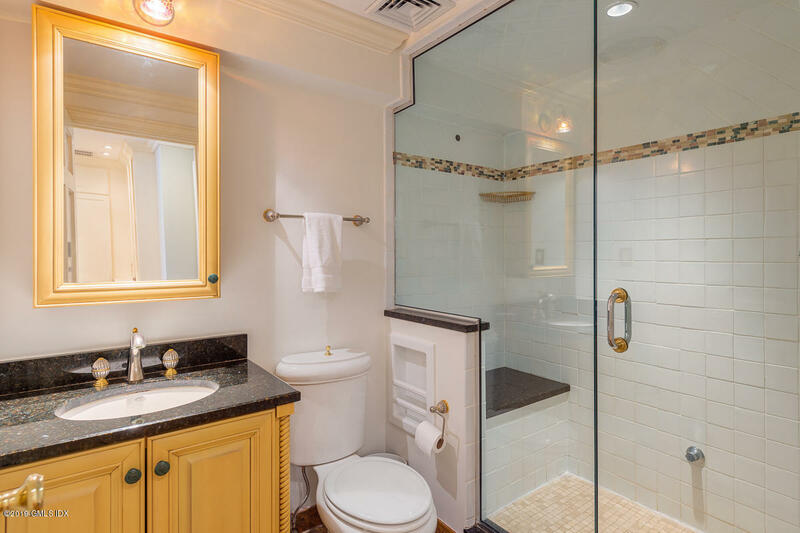 The master bedroom has a walk-in closet, marble bath & access to a private deck. 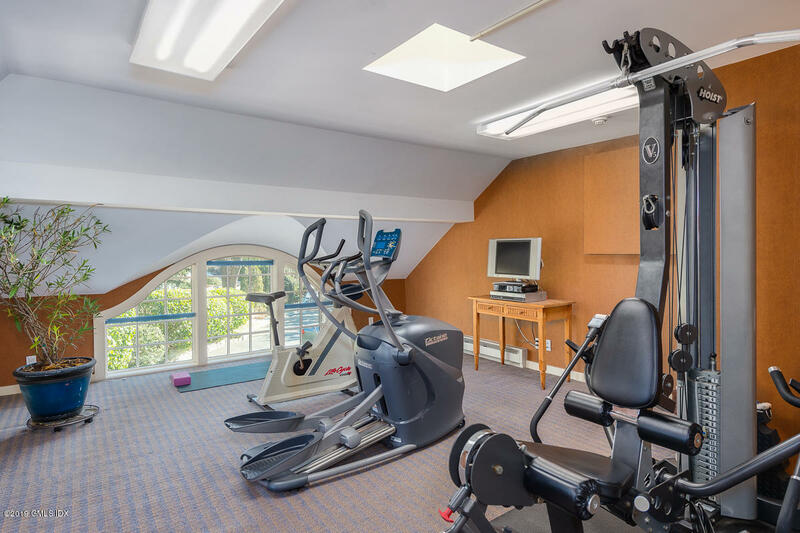 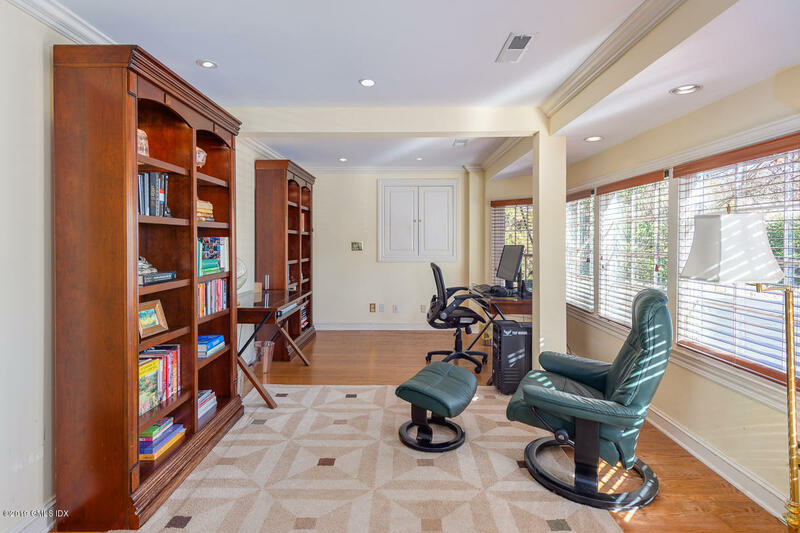 Three family bedrooms & lots of closet space.The home office/exercise studio has a separate entrance. 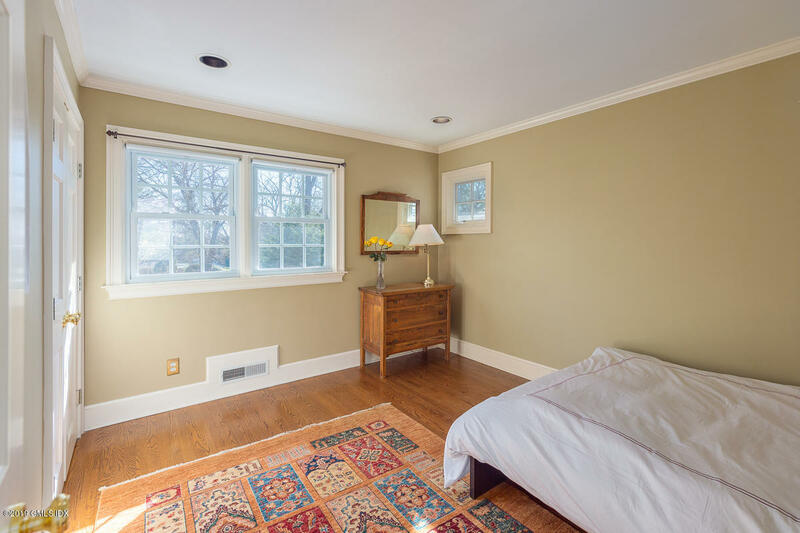 Bonus room w/ access to the yard, a workshop area, built-in storage in the oversized 2-car tandem garage has room for all. 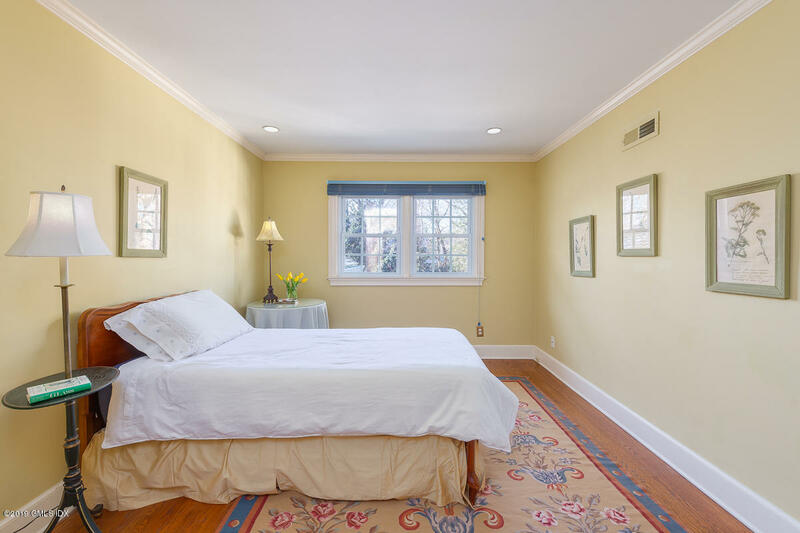 Flexible spaces, an oversized property and not in a flood zone.